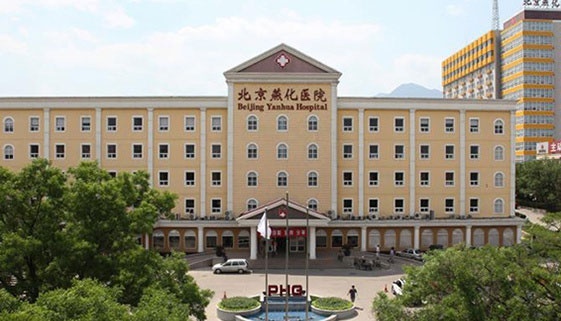 Yanhua Hospital was established in 1973, formerly known as Workers Hospital of Beijing Yan Hua Company of Sinopec, which is the only Grade III hospital in Yanshan District. As the first central enterprise to introduce social capital for Grade III hospital reforms, Yan Hua Hospital, the largest not-for-profit hospital in Beijing, owns 7 first-class disciplines. and comprehensive second-class disciplines. Among them, the rehabilitation medical center, the management center of the slow disease management center, and the excellent technical skills have an important influence in the region. As the seventh hospital in Beijing passed the JCI certification and the review in 2016, Yan Hua Hospital has introduced the international high-end medical resources to provide patients with high quality international medical services. On January 22, 2016, leading by Professor David Cole's international team from Oxford Blood Cancer Center, Yan Hua Hospital jointly built the Phoenix Oxford Cancer Center with University of Oxford Blood Cancer Center. The hospital aims to building a set of surgery, chemotherapy, radiation therapy, cell therapy, immune therapy, gene therapy, and a variety of means such as palliative care, multidisciplinary joint consultation mechanism (MDT) tumor center so as to provide the scientific and rigorous treatments for cancer patients, enabling them to enjoy the full humanistic care, and live with quality and dignity during the whole process of disease diagnosis and treatment.